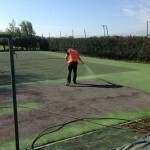 The tennis court rejuvenation process is a maintenance visit where the sand is extracted from the synthetic turf surfacing and replaces with a new layer. This is usually done because it has lost its porous qualities due to contamination within the infill. Contaminations such as twigs, leaves, moss and algae can start to block the pores in the flooring, causing the pitch to become waterlogged. 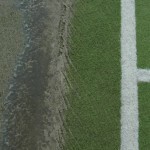 The best way of noticing that the facility needs rejuvenating is when pools of water start to appear across the surface. Specialist tests can be carried out to assess the levels of contamination within your artificial court surface, this will then help to determine the best course of tennis court repair to fix the problem. 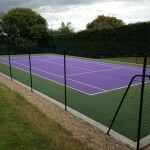 Our team are on hand to offer any advice you need if you think your sport surfacing is in need of a deep cleanse. If you send us over some photos of the area and let us know what problems you are having we will be able to give you some guidance. Just fill in the contact form and we’ll get back to you to discuss this further and provide a quote for our work. 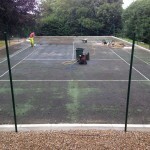 Tennis court rejuvenation is a vital process, and as contaminated infill can happen to any sand filled sport surfacing, it’s sometimes unavoidable. This rejuvenation maintenance will leave the facility looking brand new, and you’ll even feel it when you play on the area. The process begins with extracting the dirty sand infill particles from within the synthetic carpet, then a fresh clean application of silica sand will be put down into the pile. 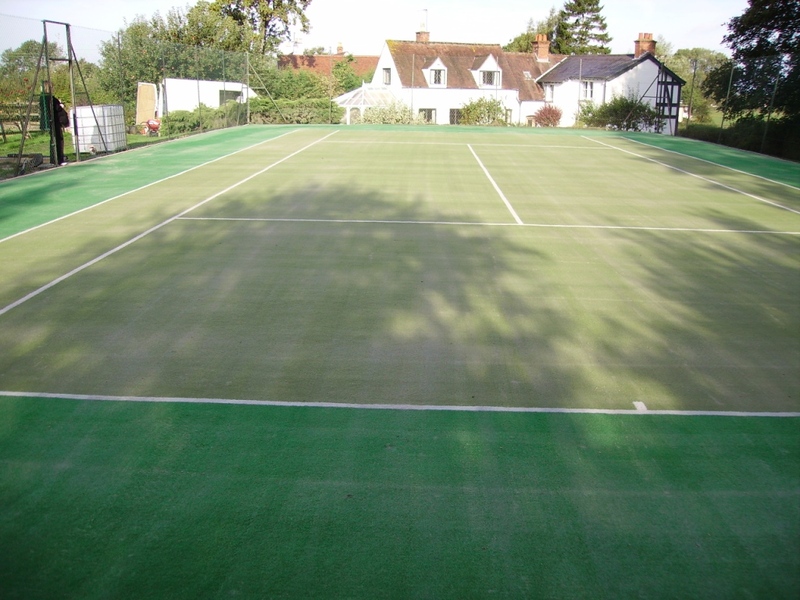 The new sand will then be spread evenly through the carpet fibres using a specialist sports surface drag brush to ensure there is a consistent level of infill across the whole playing area. If replaced with compressed air, the pile height will look as good as new, giving it a more vertical look than beforehand. 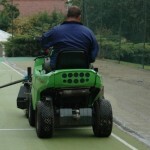 The tennis court rejuvenation costs can vary depending on the amount of sand that needs replacing and also the dimensions / sizes of the area. 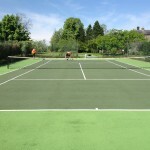 The surfacing might only be affected around the perimeter of the playing courts and the dimensions could be a double facility or larger area size. However, making sure that your surface is properly cleaned and maintained will ensure that the synthetic flooring lives to its maximum potential. 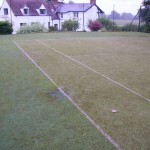 The costs should be seen as an investment, as without the proper maintenance or cleaning the playing characteristics will deteriorate and the surfacing can get seriously damaged through flooding. Also if the artificial turf is not properly looked after, it can become unsafe for the people using it and it’s imperative that the chance of any accidents happening is kept to a minimum. 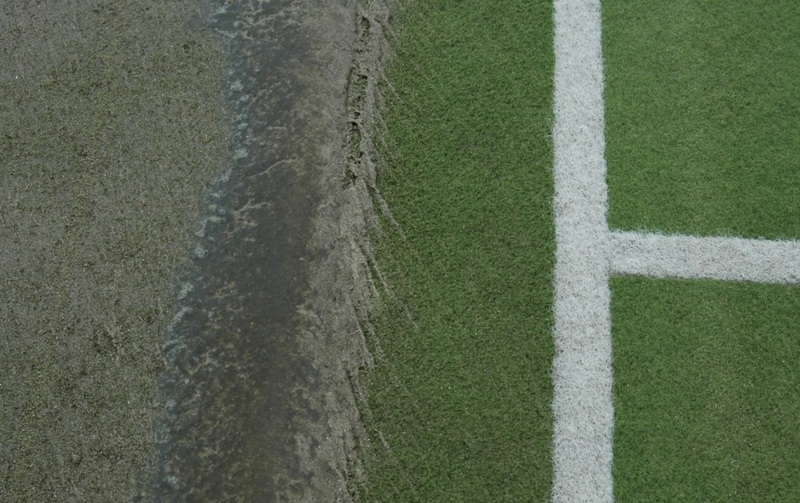 Due to contaminations sometimes being unavoidable, we recommend taking into account maintenance and cleaning costs when having your sports pitch constructed, as it will improve playing characteristics and safety, therefore helping you get the most from your sports facility. We make it our goal to give you the best quality services and products for the best value price, and if we need to work within a tight budget, we’ll do everything we can to make compromises which keep costs to a minimum. Our team have been working for many years on projects throughout the UK so we have plenty of experience in the construction and maintenance processes. 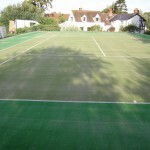 We can build a new sport surface from scratch or clean and repair an existing one depending on your needs. Just discuss your budget with one of our experts so we can provide a quote which is affordable for you. 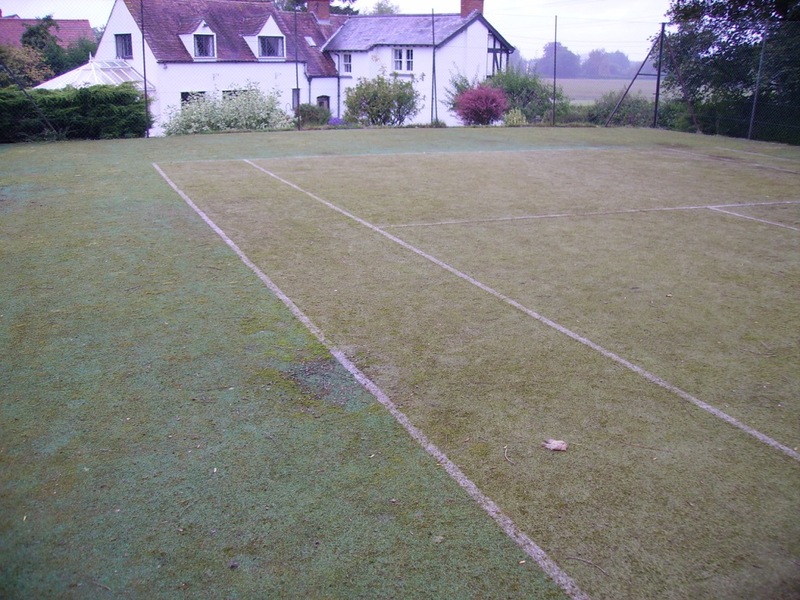 Please fill in our enquiry form if you need more information on tennis court rejuvenation and we’ll get back to you with some professional advice and an idea of costs for the work. Prices vary for every project but we’ll take your budget into account and do out best to make it affordable.